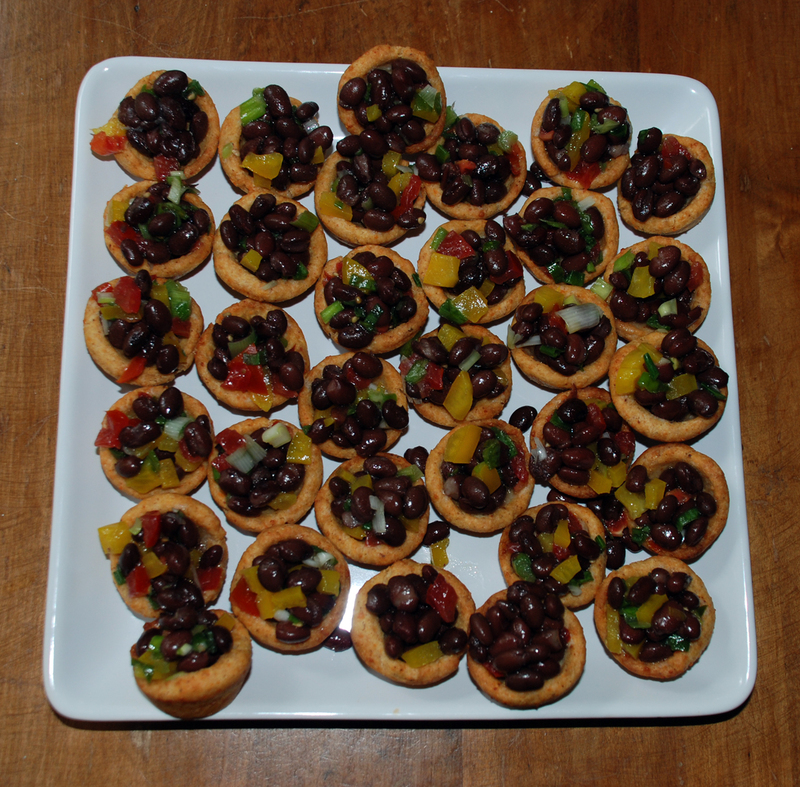 Yes, another bean recipe. Hey, they taste good and are good for you! I made these to take to a ladies’ luncheon. Everyone loved them. 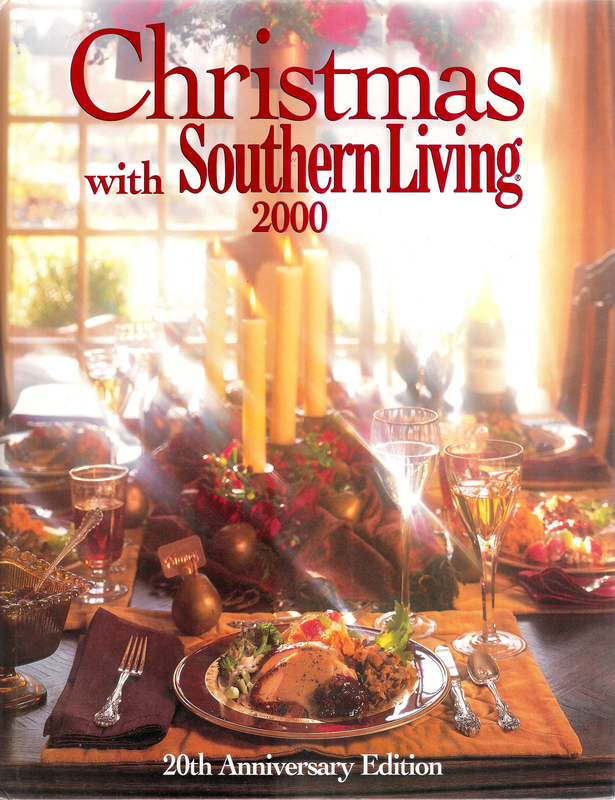 They would be great for all those tailgate parties coming up! I love the chili-cheese crust. •Add egg and ice water; process just until the mixture forms a ball. •Divide dough in half; shape each half of dough into 16 (1 inch) balls. 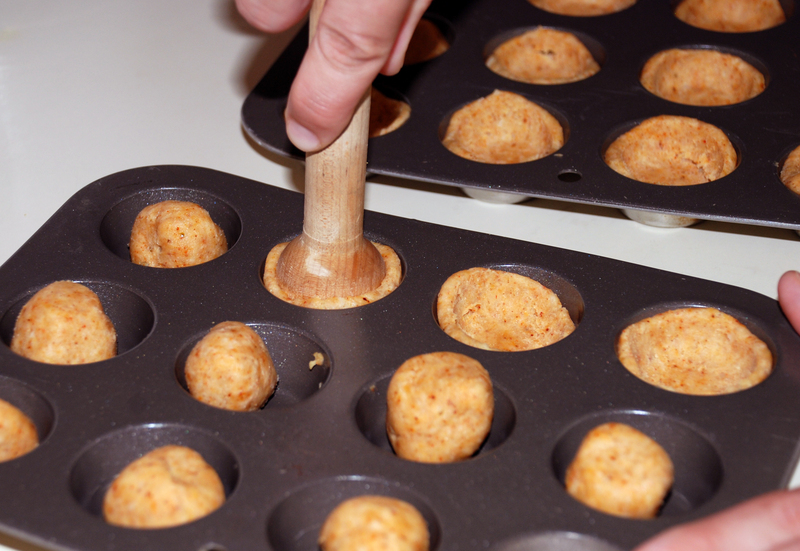 Press balls into lightly greased mini muffin pan. 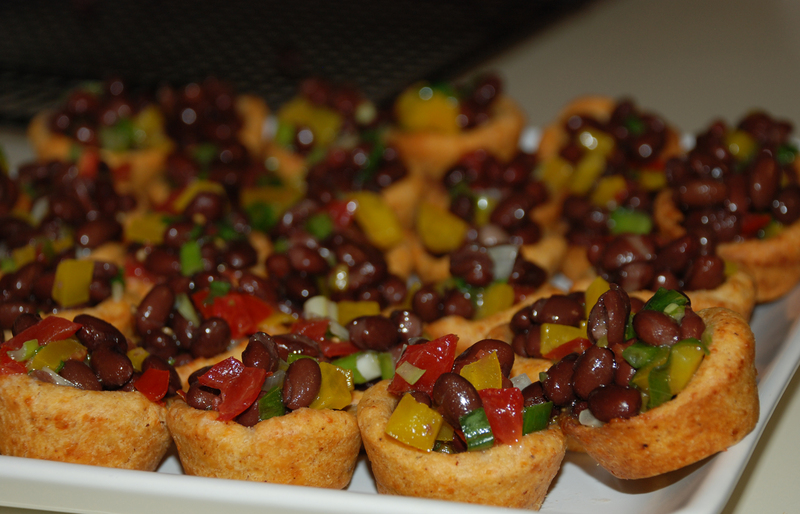 •Bake tartlet shells at 450˚ for 8 minutes or until lightly browned. Cool in pans 10 minutes; remove shells to wire racks to cool completely. 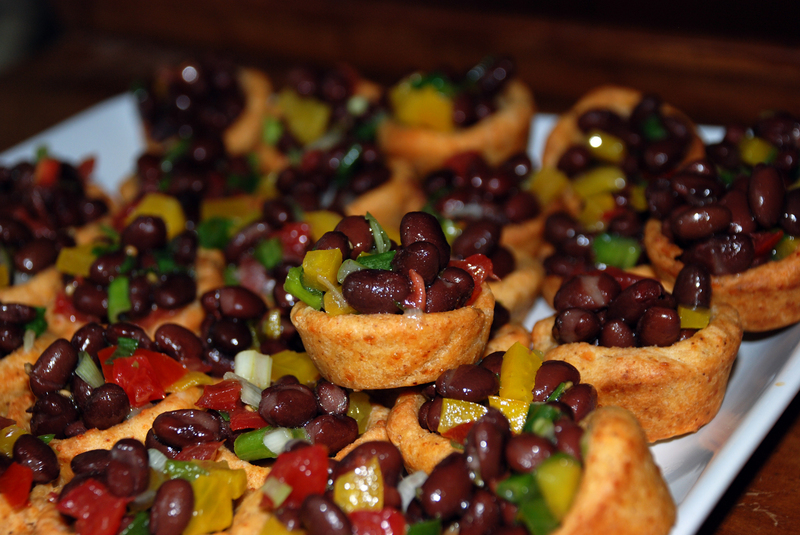 •Spoon 1 tablespoon of Black Bean Salsa into each shell; garnish, if desired. 1 tablespoon chopped fresh cilantro-I left this out because I can’t stand the stuff! Sorry. You might want to have a little bowl of sour cream to go with these. You could even put a dollop on top of each one and fancy it up with some green onion or, if you must, cilantro. There will be plenty of salsa, so be generous. I had some that wouldn’t fit in all the cups. The leftovers got eaten with tortilla chips. That was yummy too!